When do you stop using the tool and then grind it? - Purros Machinery Co.,Ltd. One auto parts manufacturer sends taps for repairs every 2,000 to 3,000 holes it processes. In this way, each tap can be reused three times. But if he uses the taps until they are completely damaged and then sends them back for repair, they may only be able to process 1,000 more. We recommend that tools intended for reuse be repaired before they break or become severely worn, with less material removed during regrinding. The price of the repaired tool is much lower than the price of the new tool, but it is difficult to guarantee the consistency of its quality. Larger or more expensive tools are also candidates for regrinding repair. Generally, integral carbide end mills with diameters less than 12.7 mm have little value for re-grinding. The most valuable repair is the turbine blade root milling cutter, rough end milling cutter, gear hob, expensive and almost all can be re-grinding repair. Carbide drill bits are the most common refillable sharpeners and are also the easiest to sharpen. When the bit is blunt, the drill point can be sharpened. If the drill bit has a broken edge or serious damage, the damaged drill tip can be removed before it is polished. As long as the bit’s inverted cone is not overly worn, it can usually be repaired by simple regrinding. 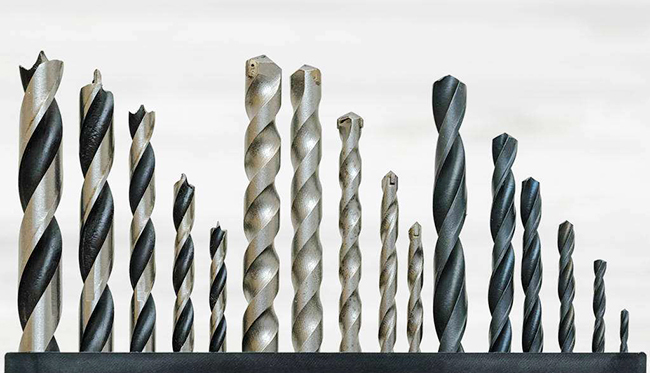 Compared with other tools, grinding has less impact on the diameter of the drill bit, which makes it very suitable for grinding. The size control of each grinding is different. A normal drill bit may be polished and reused 5-6 times before being scrapped, while a drill bit used for machining high-precision holes may be polished and reused only 3 times. And the use of our drill bit grinding machine, can be very convenient to complete the work of repairing the bit, but also for you to save money.